According to Pokernews.com (link below), Viktor "Isildur1" Blom is no longer a member of "Team Pokerstars Pro". According to the article, Pokerstars has confirmed that "Blom and the company mutual agreed not to renew the Swede's expired sponsorship agreement". The first reaction after hearing this news is to assume that Blom will be one of the sponsored pros at Full Tilt Poker 2.0. However, in the Pokernews.com article, Blom stated that he just wants to "concentrate on playing poker", so maybe he is planning on foregoing a sponsorship deal altogether. 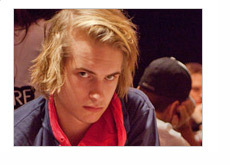 Viktor "Isildur1" Blom made a name for himself on Full Tilt Poker back in 2009, doing battle with everybody from Tom "durrrr" Dwan to Patrik Antonius to Phil Ivey. Who can forget his epic battles against Tom Dwan or the unbelievably large pot that he lost against Patrik Antonius? Blom's unbelievable run in 2009 ended with a $4.2 million downswing at the hands of Brian Hastings. However, Blom was able to parlay his notoriety into a deal with Pokerstars, which was officially signed in December of 2010. The high point of Blom's time with the company likely came at the 2012 PCA when he took down the Super High Roller event for $1,254,000. So - is Viktor Blom going to be one of the centerpieces of Full Tilt Poker's new roster of sponsored pros, or will "Isildur1" be content to freely roam the poker world without a deal?